As ‘Strictly’ fever sweeps the nation, and we move from Len’s famous ‘sev-en’ into the nines’s and 10’s, the celebrities start to look like real dancers. But what makes a dancer’s posture so distinguishable? We asked ex-dancer Jeni Howland – now Somatics and yoga teacher – to shed some light on this question. There are many books and articles and sources of information about how yoga can help trauma, my goal here is to offer a few exercises that are simple and easy to integrate into your everyday life. I hope these ideas may lead you to looking deeper into how yoga can help you. Jun 23 Survey: What Yoga Workshop appeals to you? Can you help me? There's an opportunity to win a doTERRA Peppermint Essential Oil!! In Autumn this year I will be running a series of yoga workshops and I'd love to know what themes you'd like to see. These workshops will involve a series of weekly classes at Clerkenwellbeing, London. If you'd be interested in attending these workshops then please answer these questions. Join me for an expansive and twisty flow. You'll need your strength so warm up the wrists and back before joining in. Play twice to do both sides. Sep 7 How To Sit Still: is meditation even possible?? Meditating is often described as taming the monkey mind: we each have a giddy monkey chattering away in our head. When we meditate, the "goal" is to start to control the monkey mind, calm the waters, find the space between the chatter and expand that space. But on occasion, an attempt to meditate can turn your chattering monkey into a crazy drunken monkey being chased by a swarm of bees! Worry not! Surely even Buddha had days like that!?! Here's 5 tips that have helped me and may help you too. 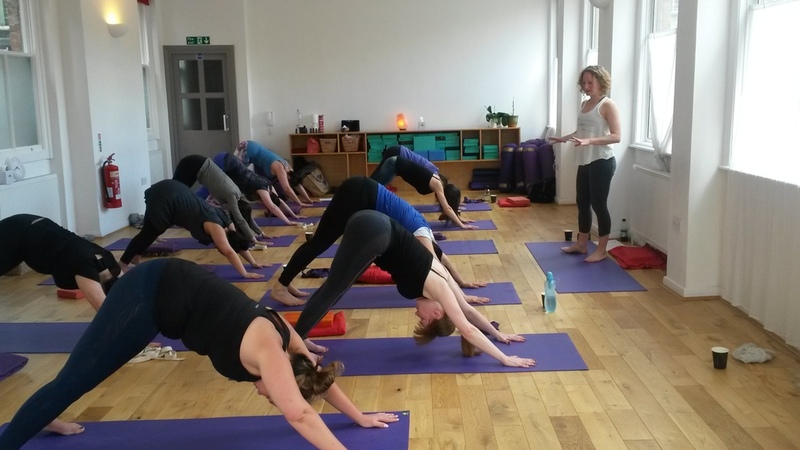 Surya Namaskar is a combination of positions that flow together to make a revitalising and energising sequence that will give you the opportunity to mobilise the whole body, move with your breath and check in with what status quo is like right now.